In their review of the new Dodge Challenger, the folks at Edmunds said, “We love the 2017 Dodge Challenger’s authentic muscle-car persona,” and it’s not hard to see why. This model’s design gives it an imposing presence on the road, and it’s backed up with staggering performance numbers. If you choose the 2017 Dodge Challenger SRT8 392, you can look forward to a blistering 6.4L V8 that sends out 485 hp and 475 lb-ft of torque. This trim also tacks on Brembo brakes and adaptive suspension dampers, as well as more comfort features and an integrated navigation system. 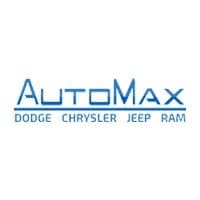 Explore it today at Automax CDJR, and contact us with any questions. We have a the new Dodge Challenge for sale now along with a number of new Dodge specials at AutoMax CDJR in Shawnee, OK, only a short drive from Oklahoma City. As attested in our customer reviews, AutoMax CDJR is a trusted dealership with a proven track record of delivering top-notch vehicles and auto services. Count on us for your auto financing and auto lease offers, as well as professional maintenance and repairs in our premier service center. Make your way to see us today at our dealership near Oklahoma City.